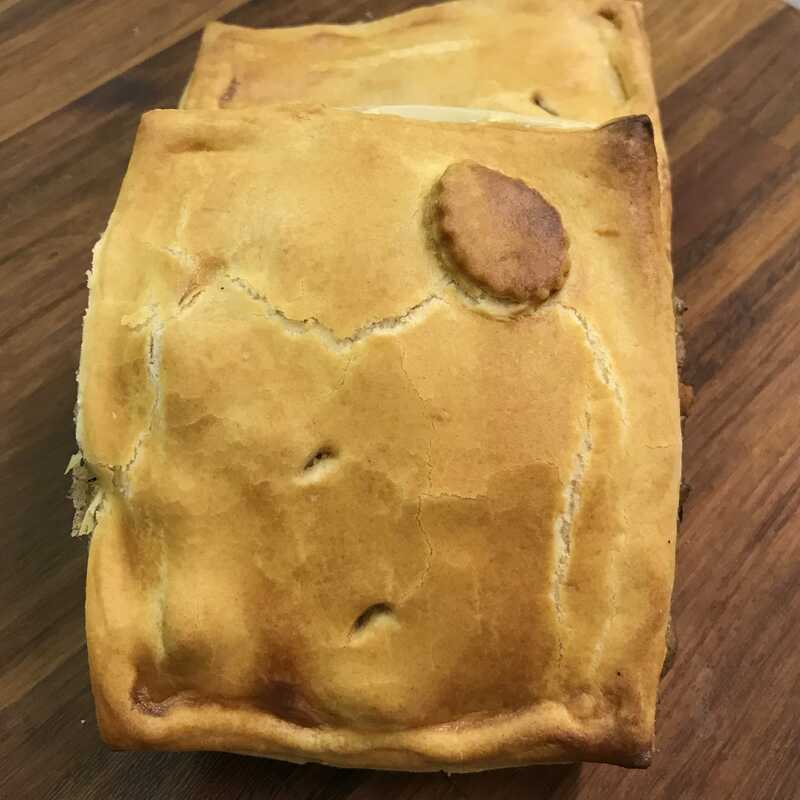 Handmade pie, filled with tender pieces of rare breed pork, local Cumberland sausage and apple cooked in cider encased in a melt-in-the-mouth pastry (our secret recipe again!). 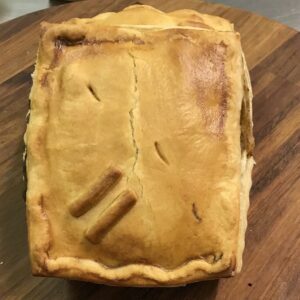 Full of traditional rich, robust, Cumbrian flavours and using delicious English apples which offer both sweetness and tang – unbeatable combination, you simply must try it. 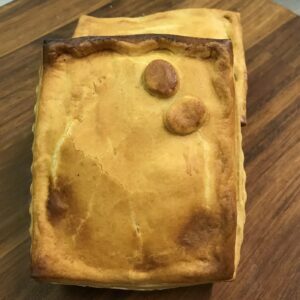 Serving Suggestion: Grizedale Pies are made from rare breed pork local Cumberland sausage and apple gently cooked in cider with rosemary. Serve with roasted parsnips, broccoli, a herb mash and golden gravy.